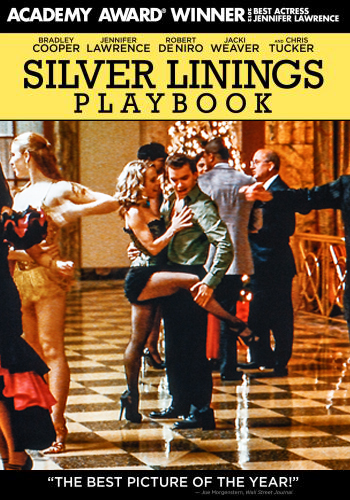 This time last year Dominick Sannelli and I auditioned for Mandy Moore (emmy nominated choreographer) and were chosen as featured dancers for the movie 'Silver LInings Playbook' starring Bradley Cooper, Jennifer Lawrence and Robert DiNero. We spent a week at the Benjamin Franklin Hotel in Philadelphia, filming and are THRILLED to announce that we made the cut! Shoot 1: We are the dancing couple wearing GREEN (I am in a Green Corset and Black Fishnets, Dominick is in a Green Dress Shirt). They pan in on us dancing and DiNero says "What is this Dancing with the Stars?" Shoot 3: Bradley Cooper is walking into the ballroom by himself and we are the "contestants" walking in right behind him. This movie is rated R for language. Parents, please use your own judgement. Aside from my excitement of being in it, I can confidently say that it's an excellent movie....I give it 5 out of 5 stars!!!! Written below is a glimpse at what I do and why. It’s also a message to my dancers. I am a dance teacher. I am a choreographer. But beyond that, I am an educator, a mentor, and a friend. It is my responsibility to teach my dancers about pliés and shuffles, but more importantly about commitment, teamwork, responsibility and accountability. My brain never turns off. When there’s music on I am choreographing it. If I am shopping, I think to myself, “Could I use this for a costume or prop?” I am forever answering emails. I am constantly thinking about the next show, even though I am barely through the current one. I am always searching for music and combinations because I crave inspiration for my dancers and myself. I am endlessly editing music. I often need to skip family gatherings to finish a 3-minute dance that takes all weekend long. I can sometimes be found in an empty studio or theater on an anniversary or birthday, preparing a show until 2am because I would rather die first then have anyone of my dancers disappointed. I am “at work” always, mentally and/or physically. I am an artist, entertainer, costume designer, creator, sculptor, music editor, marketing manager, bookkeeper, guidance councilor, cheerleader and salesman. I am a self-motivated entrepreneur. I am always and forever a student, realizing that the main component to growth is exposure and education. It is my duty to pass these invaluable life lessons on to you as those before have done for me. Me upholding a dress code goes so much further than ‘being mean.’ It instills the necessity of preparation for the day of classes and ultimately life. Your boss may not be forgiving when one day you show up unprepared for the assigned work or presentation. It could cost you your job. Me encouraging you to ask questions goes much further than you understanding the combination or choreography at hand. It builds the confidence to know when you need help, take a step back and look at things objectively and subjectively. It allows you to communicate confusion or frustration. Me teaching you how to layer your tights and perform a 1-minute quick change in the wings goes further than just the dance recital. It teaches time management – multitasking, prioritizing, and knowing when to ask for help. Me drilling you on the importance of a technique goes beyond me saying it over and over. It shows that with the proper training and the right coaching and mentoring, that anything is possible. And that one-day with all of the hard work you have dedicated in class, that you will get to your full potential as a result. I know how much you are capable of and expect nothing less than your full potential at all times. I hold you to a higher standard because I know that you are more than able to meet and surpass that standard. I push you because I know that once you move on from the studio, the world will be so much harder than I ever was. I educate my dancers to not only be technicians and performers, but to be highly effective contributors to society, no matter which path they choose. So dancers, know this: I love you and am more proud of you than you will ever know. We will always have an unbreakable bond that was formed within the four studio walls, at a ballet barre, with marley and sprung wood floors underneath us. Remember that nothing, (bent knees, sickled feet, etc..) can alter the respect I have for you. I know that each time you put on those shoes and step onto the floor, you’re invested, you’re dedicated and because you decided to show up, you’ve stepped up. Because you’ve done that, I am there for you! You will always be a winner. Just talking about dance makes Dani Tucci-Juraga’s eyes sparkle. The small, but mighty woman, who looks barely older than the teens in some of her 22 weekly dance classes at Downstage Center Dance Studio, has been dancing for 40 years - since she was just 2 years old. She apparently passed on the dancing gene to her son, Adam, 17, who, like his mother, is fond of tap dancing. On top of owning and teaching the bulk of the classes (save hip-hop: “it’s not really my jam”) at the studio she opened in 2001, Tucci-Juraga teaches tap class at Rider University, choreographs Bucks County Playhouse productions and choreographs the musicals at Bucks County Technical High School. “Her natural level is extreme,” the ever-jovial Kresimir said. Before setting her sights on studio ownership, The Bristol Township native danced on Broadway, including a stint as Elmo in Sesame Street Live. She also danced as Minnie Mouse on a Disney cruise ship, where she met her husband. With only 60 students in the roster, the couple opened the dance studio soon after marrying. For the 2018-2019 season, 300 students are enrolled and, in addition to Dani, seven instructors teach classic dance classes, including ballet, jazz, contemporary, modern and pre-dance for the youngest dancers. About four years ago, they opened Juraga Photography alongside the dance studio. Kresimir uses his passion to feed the dance studio, often photographing dancers, building stage props and housing fitness classes. “It’s a nice collaboration,” Dani said of their work. One of the studio’s newest collaborations is “A Chance to Dance,” a class that brings together special needs students ages 5 to 10. Since 2011 Dani and her instructors have also offered adult fitness classes, including Zumba and yoga. The not quite five-foot-tall Dani, with her slender, yet muscular frame – resulting from lots of ab crunches and healthy eating – is the poster child for fitness. A featured dancer in the Bradley Cooper and Jennifer Lawrence blockbuster, “Silver Linings Playbook,” Dani also shares that dance is for everyone, regardless of skill level. Her studio is performance-based, and dancers participate in recitals and parades, as opposed to competitions. “We have classes for everybody,” she said. When she was younger, being in the limelight was important. But, now, as she ushers in the next generation of dancers, Dani stays focused on giving them the spotlight. Downstage Center Dance Studio is in the Lincoln Point Shopping Center, 830 W. Trenton Ave. The studio is open seven days a week and offers a variety of dance classes for children ages 3 and up. Adult fitness classes, including Zumba, yoga and yoga/barre are also available. To learn more visit www.downstagedance.com/or call 215-736-8424.